We sent our 40,000th Red Cord Card! What is a Red Cord Card? 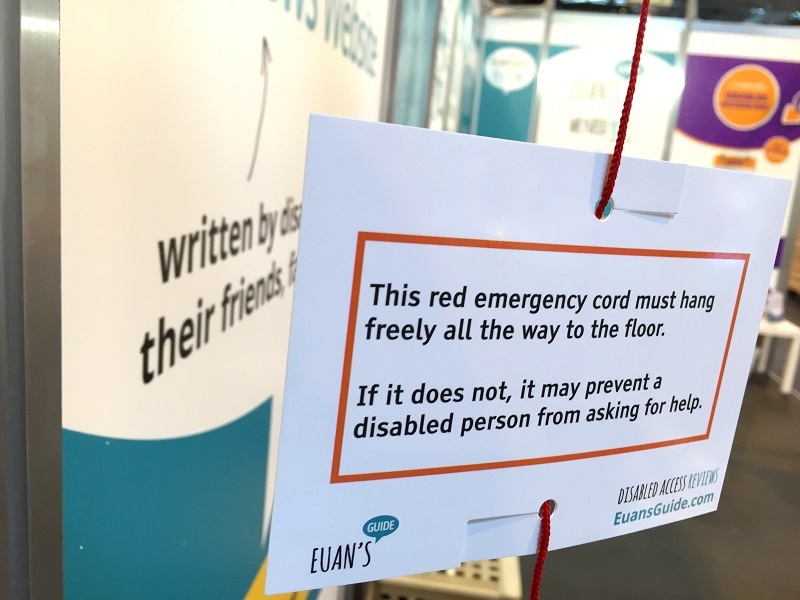 You might have spotted one of our Red Cord Cards in an accessible loo, there are 40,000 of them helping to keep emergency red cords untangled around the country! Red Cord Cards are pocket-sized notices that raise awareness of safety in accessible toilets. The cards are splash-proof to protect them from sinks, designed to easily slide onto emergency cords without setting off the alarm, and printed in an easy-to-read font. Let’s reach every accessible toilet! 30,000 is good, but making sure every accessible toilet is safer would be amazing! Help us raise awareness until everybody understands why emergency red cords must reach all the way to the floor. You can help by requesting Red Cord Cards, hanging them wherever you spot an emergency cord (good or bad), and by spreading the word on social media using #RedCordCard and #SetTheCordsFree. P.S. Don't forget to add a review of the places you leave Red Cord Cards!